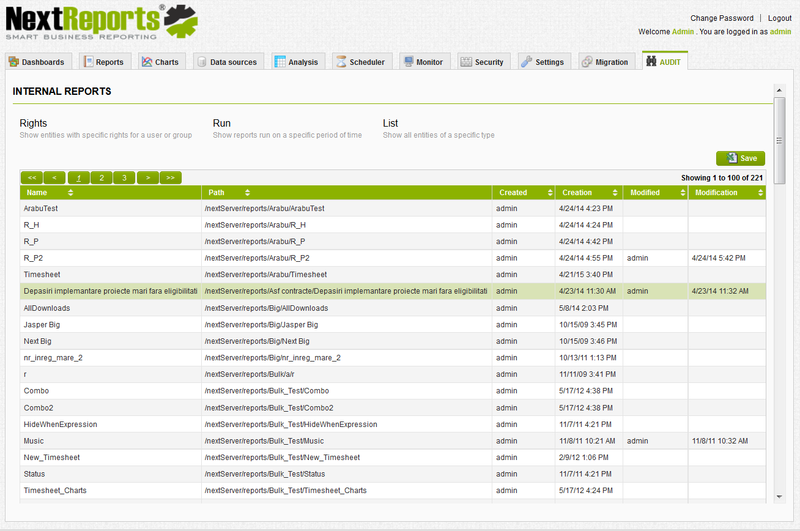 Starting with NextReports 8.1 version a new section called Audit will be available. Here, any administrator can obtain data from NextReports Server repository. What are the reports with write permission for group 'Test'? What were the failed run reports yesterday? What is the full list of Schedulers? Users can sort the result and save it as an excel file. Well done...this is a great stride forward! Thank you in advance for listening to the requirements of users!